Visa Europe has shown once again to be at the vanguard of technological innovation with the launch of a pilot for its new “Visa PIN Card” – a powerful and stylish solution to the growing challenge of card-not-present (CNP) fraud, the company said. Developed in conjunction with EMUE Technologies Pty Ltd, the Visa PIN Card represents a major breakthrough in fraud prevention techniques. At first glance like a conventional credit or debit card, it combines a debit or credit chip with technology that generates a secure one-time-only code displayed to the cardholder via an integrated eight-digit alpha-numeric screen. It is it extremely user-friendly to operate and has a built-in battery designed to last for at least three years. As a result it offers issuers with a completely secure solution to better authenticate online transactions while giving cardholders ultimate peace of mind when shopping over the telephone or internet without the need for a separate device. In recent years Visa Europe has been leading the way in addressing these threats with initiatives such as CVV2 and Verified by Visa. The latest venture of the company – the Visa PIN Card - is undoubtedly another powerful solution to add. By combining the technology necessary to create one-time only codes with a standard chip card the company is giving cardholders a truly user-friendly experience and offering issuing banks an unrivaled method of ensuring the integrity of all types of remote transactions – remote banking, online and telephone banking as well as fund transfer requests. 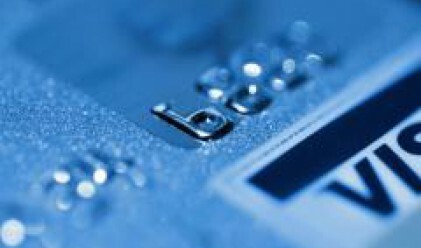 There are over 350 million Visa debit, credit and commercial cards in Europe. In the 12 months ending December 2007, those cards were used to make purchases and cash withdrawals to the value of over 1.3 trillion euros. A total of 11.4% of consumer spending at point of sale in Europe is with a Visa card. Visa Europe is a membership association - an organisation owned and operated by its 4,600 European member banks – that was incorporated in July 2004. In October 2007, Visa Europe became independent of the new global Visa Inc., with an exclusive, irrevocable and perpetual license in Europe.